BEIJING, March 18 (Xinhua) — China hopes the Democratic People’s Republic of Korea (DPRK) and the United States will cherish the hard-won momentum of dialogue and keep talking until a peaceful denuclearized Korean Peninsula is realized, a foreign ministry spokesperson said Monday. Spokesperson Geng Shuang made the remarks at a daily press briefing in response to a question on DPRK Vice Foreign Minister Choe Son Hui’s comment on a briefing held in Pyongyang. Choe Son Hui said on Friday that the recent summit between the top leader of the DPRK Kim Jong Un and U.S. President Donald Trump failed because the U.S. side lacked sincerity. “After the Hanoi summit, the DPRK and the U.S. both expressed willingness to continue dialogues. We commend and encourage this,” Geng said. China always believes that the Korean Peninsula issue can only be solved peacefully through political dialogues, he said. He added that the key to keeping up and advancing dialogue is to accommodate all parties’ legitimate concerns in a balanced way, build up mutual trust and consensus, take phased and synchronized steps, and start with easier moves. “As the nuclear issue has dragged on for decades and complicated factors are at play, one cannot expect it to be solved overnight. All parties need to have reasonable expectations. One shouldn’t set the bar too high at the outset or make unilateral, unrealistic demands,” Geng quoted Foreign Minister Wang Yi as saying. He also said China hoped that the DPRK and the United States could cherish the hard-won momentum of dialogue, seize the opportunity, meet each other halfway, build up mutual trust and consensus, keep talking till something good comes out of the talks and a peaceful denuclearized Korean Peninsula is realized. “The international community should encourage both sides to keep moving toward the goal of denuclearizing the Korean Peninsula and establishing a peace regime,” Geng said. China will continue to play a constructive role along with other parties, the spokesperson stressed. A tweet by US President Donald Trump on the ongoing trade war is a “positive” signal, brightening prospects of a deal from this week’s talks in Washington, according to an opinion piece published by China’s major state media outlets on Monday. Monday’s opinion piece was published the day before a Chinese delegation led by Vice-Premier Liu He is expected to leave for talks in Washington. The opinion piece, which was published by the official Xinhua news agency, the People’s Daily and the Global Times under the pseudonym Niu Tanqin, is seen to be part of Beijing’s efforts to reassure its citizens that the trade war with the United States will soon be over. It did contrast previous columns on Trump by the same author, who in March last year argued that China dislikes the American president for his “insatiable demands, greediness and lack of trust worthiness”. Last week’s trade talks in Beijing produced “progress” ahead of the March 1 deadline, which could see tariffs on US$200 billion worth of Chinese products increased from 10 per cent to 25 per cent if the world’s two largest economies fail to reach a deal. The outcome of the talks in Washington, which are likely to be the last before March 1, will largely decide whether China and the United States can reach a pact, likely in the form of a memorandum of understanding, to suspend the tariff battle that has been roiling global markets and clouding growth prospects since last year. According to the opinion piece, Trump’s use of “soooo” instead of “so” indicated that the US president was excited when he heard reports from his trade envoys following the talks in Beijing, which Chinese President Xi Jinping attend on Friday. Important meetings and calls on China Trade Deal, and more, today with my staff. Big progress being made on soooo many different fronts! Our Country has such fantastic potential for future growth and greatness on an even higher level! “The US side is attaching great importance [to the trade talks]. Although Trump is on vacation, he listened to relevant reports and he definitely will make specific instructions,” it added. Chinese President Xi urged for a “mutually beneficial” trade deal in this week’s talks when he met US trade representative Robert Lighthizer and US Treasury Secretary Steven Mnuchin in Beijing on Friday, according to Xinhua. Stocks in China and Hong Kong surged on Monday, partly bolstered by the increased likelihood of a trade deal between China and the United States. Monday’s opinion piece fits into the latest official line that an agreement is very likely to end the tariff war after the Global Times said over the weekend that the bilateral trade talks are “sprinting” towards a positive end. Meanwhile, reports in China suggest differences between Beijing and Washington still remain over forced technology transfer, intellectual property rights, cyber theft as well as a verification system to ensure China keeps its promises. Xi told the US trade envoys that China is willing to “cooperate” but “cooperation has principals”, a statement showing that Beijing will not entertain US demands if it finds such demands violate China’s principals. A White House statement on Friday said that “much work remains”, showing gaps still exist. Taiwan’s largest airline China Airlines and its pilot union returned to the negotiating table on Saturday in a closed-door coordination meeting over an ongoing strike that so far has forced the cancellation of 34 flights, including at least 12 to or from Hong Kong. The carrier cancelled four Saturday flights between Hong Kong and Kaohsiung and three between Taipei and Hong Kong, after scrapping five flights to and from Hong Kong the previous day. More than 12 flights have been delayed in the past two days, according to the airline. The China Airlines branch of the Taoyuan Union of Pilots is protesting the airline’s failure to improve pilots’ working conditions and launched industrial action at 6am on Friday after talks broke down on Thursday, saying the strike would continue indefinitely until China Airlines agreed to meet its demands. 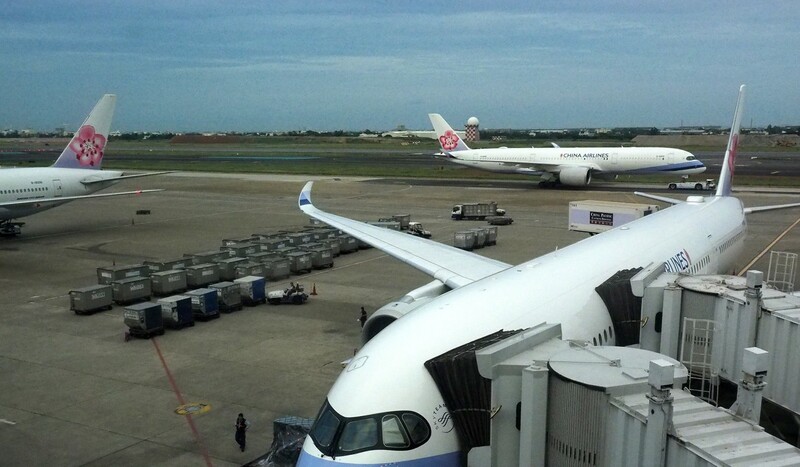 Taiwan’s transport ministry stepped in, asking China Airlines and the union to hold a new round of talks on Saturday afternoon under the supervision of the Taoyuan Labour Affairs Department. Earlier on Saturday, transport minister Lin Chia-lung said airline management should have reviewed the reasons behind the breakdown in talks, in light of last year’s successful negotiations between EVA Air, another major Taiwan carrier, and its pilots. “Senior officials of China Airlines should have listened to the voices of their employees and put aside their emotion to properly handle the labour dispute,” Lin said, adding that the union should also take note of the rights of travellers and resume negotiations with the employer to jump-start reform of China Airlines’ aviation safety and systems. The union voted to strike in August and obtained approval from the labour authorities following disputes dating back to December 2017 between pilots and the two airlines over working conditions. 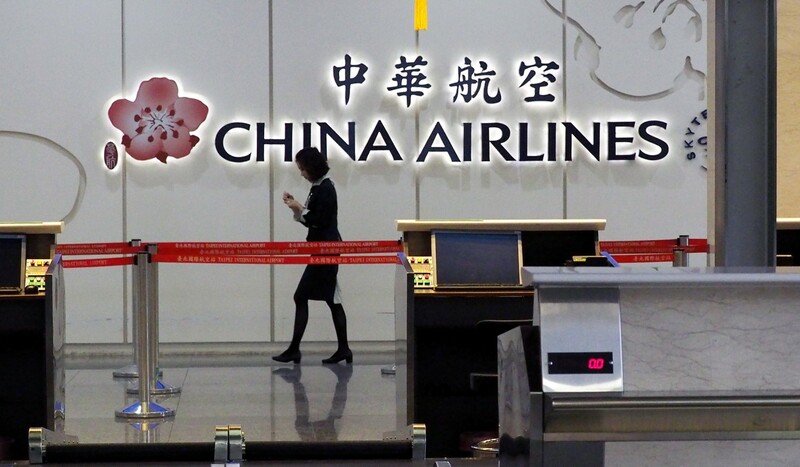 The EVA pilots agreed not to strike after a consensus was reached with airline, coordinated by the labour authorities, but no agreement was reached between China Airlines and its pilots, prompting Friday’s action. Lin said he hoped the dispute could be settled as soon as possible so that stranded passengers could return home in time for work on Monday, the day after the official end of the Lunar New Year holiday. In a statement released on Friday, the union said it staged the strike because China Airlines had refused to take note of the fatigued condition of pilots required to work overtime, which it said created a flight risk. The union is demanding an additional backup pilot for flights lasting eight hours or more, and two pilots on long-haul flights lasting 12 hours or more. The pilots also want a more transparent system of promotion, a year-end bonus similar to EVA Air’s, and other concessions, including replacement of the management staff they say were responsible for the breakdown in talks. The union is also demanding an assurance that there will be no later punishment for the strike action. China Airlines has rejected the union’s demand for extra manpower on long-haul flights, saying the pilots’ working conditions are in line with international practice and that “increasing manpower would raise human resources costs and seriously affect the competitiveness of the company”. Deputy transport minister Wang Kwo-tsai appeared to support the union’s position on fatigue and promotion issues. “After all, fatigue would cause flight risks and protection of the benefits for employees would enable the company to operate continuously,” he told reporters on Saturday. Wang stressed the strike had already disrupted air traffic and stranded passengers, and said there was a strong need for the two sides to swiftly resolve the dispute to ensure the rights of passengers.